Prominent & Leading Manufacturer from Coimbatore, we offer geotextiles looms. We offer a wide gamut of geotextiles looms, which is primarily used for weaving textiles with width ranging 1 meter to 5 meters. 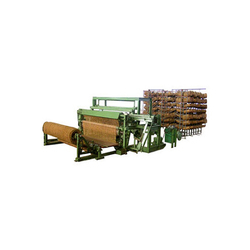 Based on latest technology, these looms are completely automatic and help in conducting large-scale production. These machines not only offer peak performance rather last for years to come.